It seems to be up there with Vegemite as a local curiosity. Bloggers from elsewhere express incredulity at Australians’ taste for musk Life Savers, musk sticks or any confectionery flavoured with a substance that used to be derived from the nether portions of a deer (in fact, the word musk originated from Sanskrit muská meaning ‘testicle’). Today, fortunately, synthetic and plant-based musks are generally used. Musk lozenges were also thought to help with sore throats, thanks to the gum used to make them. The British confectionery manufacturer Terry’s, founded in 1767, continued to produce them through to the 1920s. The original lozenges clearly contained natural musk and Terry’s didn’t hesitate to remind people of its origin on their packaging. It was later replaced with the artificial substitute. American newspaper advertisements in the 1860s offer musk lozenges alongside English Mint, Wintergreen and Sassafras varieties and references to them can be found through to the early 1900s. 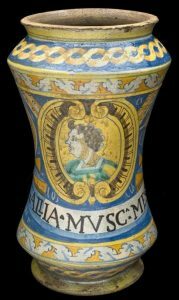 Of course, musk continued to be used in perfume and perhaps a vogue for stronger perfumes at the turn of the 19th century in the USA led to its falling out of favour in confectionery. An article in The Times of Philadelphia in 1899 deplored “the penetrating odour of musk”. 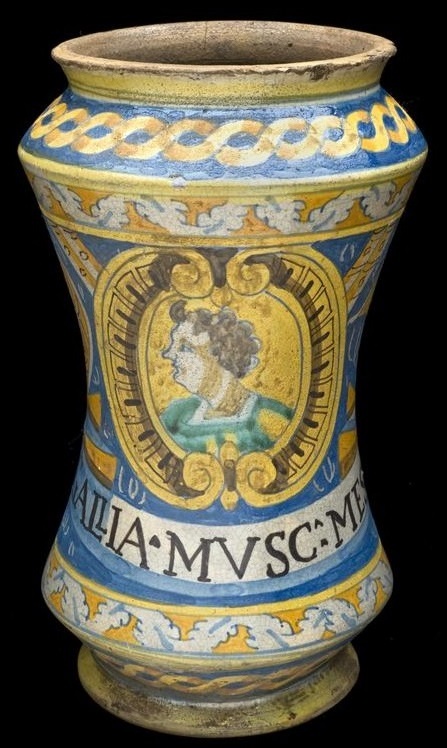 The writer went on to assert that: “All women of refinement must view with alarm the disappearance of the faint, delicious fragrance of violet and the appearance of a noisy perfume like musk”. Whatever the cause, musk seems to have disappeared from the confectionery counters of America and Britain while it remained popular in Australia, New Zealand and, perhaps to a lesser extent, South Africa. Musk sticks, with their fluted sides, were a favourite at the local lolly shop. They could be licked, softened and shaped into stabbing points for jabbing your friends. 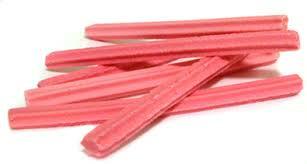 If the lurid pink of the musk stick wasn’t your preference, there were lime sticks (green) or aniseed sticks (brown). Musk sticks are still available, made by companies such as Dollar Sweets and sold at supermarkets. 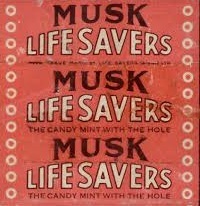 Musk Life Savers were among the earliest flavours of these popular candies to be sold in Australia. The “candy with the hole” was invented in America in 1912 by Clarence Crane and MacRobertson’s began to distribute them in Australia in the 1930s. An advertisement in the Geraldton Guardian and Express in 1932 encouraged children to come to the Saturday matinee at the local picture theatre with the offer of a ‘free sample of Lifesavers’ new products. This week’s new sample is “Musk”’. Rolls of Musk Life Savers were even included in military ration packs during World War II. Musk Life Savers are still available, provoking the curiosity (if not the enthusiasm) of overseas candy fans. However, many other flavours, including Vi-o-let, Wint-o-green, Cinnamon and Thirst have vanished. Wint-o-green Life Savers are still available in the US, where science students turn off the lights and delight in watching them generate sparks when crunched. TWO visitors tell, quite separately, of a woman at the Australian War Memorial on Saturday who searched in her purse, handbag, and pockets for some minutes, apparently trying to find some coins to throw into the Pool of Remembrance. Nothing. She was obviously disappointed and, after a resigned sigh, fossicked about some more before producing a packet of musk LifeSavers. Unopened. With a triumphant smile she threw them in. It’s at moments like these that the thought really counts.